New Gift Cards are Here! 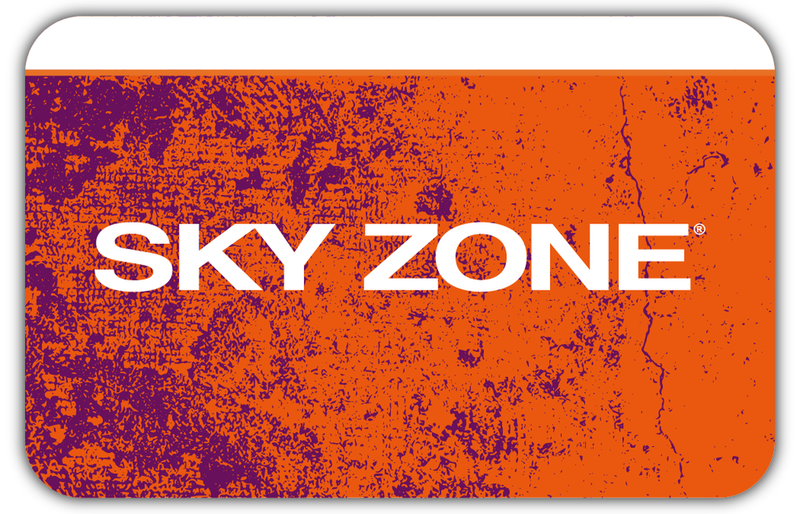 Sky Zone gift cards are available for purchase in store or on Skyzone.com. We offer our gift cards as either physical or virtual cards, whichever is easier for you. Any gift cards bought online will typically be delivered within 2-5 business days. Virtual gift cards can be accessed and redeemed via your personal mobile device. You can also check your gift card balance and order status online on your local park's Buy Gift Cards page. You can purchase physical Sky Zone gift cards at any Sky Zone park in the U.S. Physical and virtual cards can be purchased on SkyZone.com. You can have any Sky Zone Team Member check your gift card balance at the front desk.